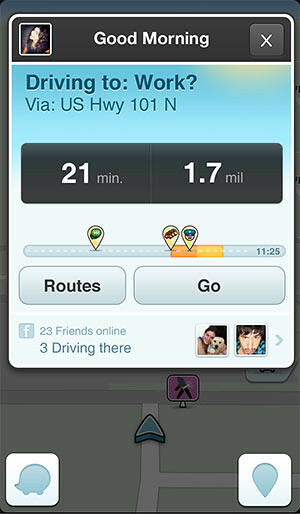 Based on a report on Techcrunch, Apple may purchase social navigation company, Waze for its navigation and maps services. 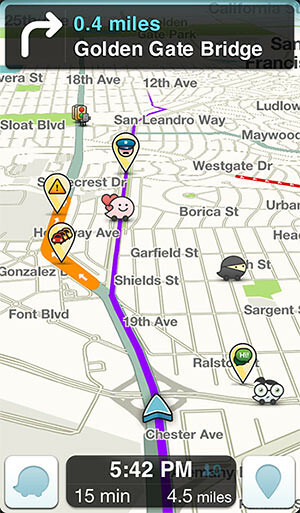 Waze is a fun, community-based traffic & navigation app, 30 million strong. Join forces with other drivers nearby to outsmart traffic, save time & gas money, and improve everyone’s daily commute. It is reported that this acquisition is a more beneficial option than Foursquare, which does not have a userbase as strong as Waze especially in Asia. Because Waze maps are built on the location of moving cars, it’s far more accurate than check-in apps. Outside of Google’s project to map cities with Streetview cars – something which has taken years to complete – and the real-world mapping undertaken by volunteers on the Open Streetmaps open source project, there has been little to match Waze’s approach. Waze turned mapping into not only a game, but also a way for drivers to be social, reporting road obstacles, traffic and police traps. It is properly useful. It would also cost Apple northwards of $500M+ to buy Foursquare (which has raised $71 million is known to be raising another round), and gain, what? The location of restaurants, bars and airports? Given Waze has raised $67 million, Apple could acquire far better mapping data and a real driving app. – Community-contributed road alerts including accidents, hazards, police traps, and more. – Automatic re-routing as conditions on the road change. – Learns your frequent destinations, commuting hours and preferred routes. – Find the cheapest gas station on your route. – Meet-up! Pick up friends, share your drive on a live map, see friends also on the way to your destination. – Join or create groups to share info about your commute. – Earn points and move up the ranks in your community as you contribute road info. – Live maps, constantly updated by Waze community map editors. One Response to "Apple May Acquire ‘Waze’ For Navigation & Maps On iOS"